Last year, chefs in the Downtown Eastside reported many challenges associated with their annual holiday meals. We heard stories of food waste and efforts to put on dignified experiences being hampered by the many ‘parachute’ groups that drop into the community and serve meals–often fast food–on the street. Neighbourhood Food Network member DTES Kitchen Tables Project sees the distribution of the holiday meal list as an opportunity not only to inform community members on where to find holiday meals but also for people serving meals to make more informed decision on when and where to do so. Here, we share the updated meal list for the 2018/19 holiday season in the Downtown Eastside. Please share with anyone you know who might be organizing a “one-time” meal or distributing food in the Downtown Eastside in the coming months. We are also sharing Vancouver Coastal Health’s DTES Food Standards to help guide those who wish to create a more nutritious and dignified holiday meal experience. Note: Updated on December 5, 2018. Thank you to those who sent in feedback and corrections for the Holiday Meal List. Dounia Saeme of DTES Kitchen Tables has updated this list to reflect changes and additions. A South Vancouver Food Hub is now being offered from a partnership between South Vancouver Neighbourhood Food Network and Greater Vancouver Food Bank. The South Vancouver Food Hub will replace the South Vancouver Food Bank, formerly held at Faith Fellowship Baptist Church. The South Vancouver Food Bank served an estimate of 160 households each week, including 35% seniors and 8% families with young children. The new food hub is located at South Vancouver Neighbourhood House, 6470 Victoria Drive (at 49th Avenue) on Tuesdays from 10am-12pm. (This excludes the week when provincial Social Assistance cheques are issued). This move to the South Vancouver Neighbourhood House enables individuals to connect to programs and services such as settlement support, family programs, language classes, seniors’ services, and other resources. Interested in working in food security? 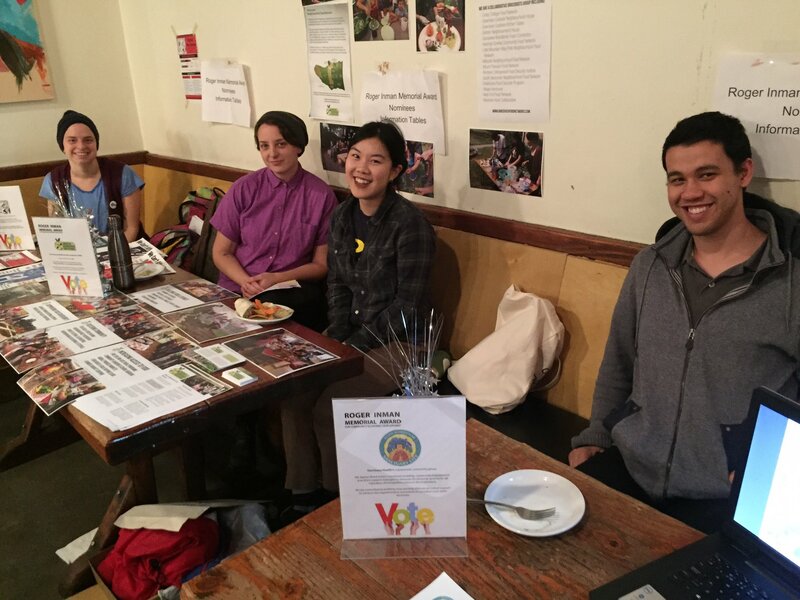 Members of the Vancouver Neighbourhood Food Networks are currently hiring. For more information about individual Neighbourhood Food Networks or their organizations, please visit the Vancouver Neighbourhood Food Networks map. Visit individual Neighbourhood Food Network websites for other current employment and volunteer opportunities. This posting has been updated as of June 25, 2018. This month, we are excited to highlight the work of our network member, Cedar Cottage Food Network in the Kensington-Cedar Cottage neighbourhood. Cedar Cottage Food Network’s longest running and most popular program is their mobile markets. Mobile markets travel throughout the Kensington-Cedar Cottage Neighbourhood to set-up pop-up produce markets. The goal of this program is to increase food access in the community and tackle issues of both affordability and physical access. Mobile markets address affordability by selling fresh, affordable produce, that is local and organic whenever possible, at a subsidized rate of 70% of wholesale costs. They tackle issues of physical access by bringing the market to the community at multiple locations, addressing issues of food deserts (places where there are no nearby grocery stores) and travel for seniors and those with disabilities. Cedar Cottage Food Network is now presenting a brand new market on the fourth Thursday of the month. Calling all community service providers! Have you heard about the Vancouver Food Asset Map? This map highlights the many food resources available across Vancouver neighbourhoods. Mapping food assets helps highlight the strengths, gaps and areas for improvement in our local food systems. Community service providers (such as yourself!) can use these maps to help themselves or their clients access food, enhance food literacy, and build community connections. We invite you to come be a part of an exciting project to help improving food accessibility in your local community! Food & drink (vegetarian options available) will provided. Please register in advance as space is limited. The cause of local food insecurity is deeply intertwined with the roots of poverty. As individuals and families in Vancouver are increasingly unable to afford the rising cost of living, they are forced to make hard decisions about their food choices. While empowering people with skills and knowledge is important, we must also address the many root causes that contribute to food insecurity. Community pressure has pushed the government to commit to a poverty reduction strategy. Now we need community action to ensure that it’s a strong plan with legislated targets and timelines. You can be a part of this effort to make BC’s government take action against poverty. The BC government is currently asking British Columbian residents about what should be included in a Poverty Reduction Strategy. It’s now more important than ever that the provincial government hear our collective voice loud and clear highlighting the pillars of a strong, comprehensive poverty reduction plan. Use the BC Poverty Reduction Coalition’s easy email form to send a message to the government consultations. They have put together a guide sharing the key messages and policies to highlight in the consultations. For inspiration, check out our submission here. Vancouver Neighbourhood Food Networks wrote a letter to Honourable Shane Simpson, Minister of Social Development and Poverty Reduction to address the work being done to lift those living in poverty through important systems-level change. This includes increasing income assistance rates and disability benefits, affordable housing (specifically supportive and social housing) affordable childcare, living wages, affordable education, and reducing marginalization. If you would like to contact Shane Simpson about this issue, you can reach his office at 250-356-7750 and sd.minister@gov.bc.ca.